The Bell Inn are celebrating a new and exclusive relationship with Tom Hordle of Tom’s New Forest Beef. Tom Hordle age 28, is the youngest New Forest Commoner to be grazing his herd of Hereford cattle in the breath-taking landscape of the New Forest. Following a unique collaboration, Tom has entrusted award-winning Chef, Mark Young and his amazing team to be the only restaurant to feature his New Forest reared beef on the menu. Passionate about his herd, Tom produces quality sustainable beef in the traditional way. Many of Toms herd are hand reared and all roam freely feeding naturally on grass and plants. The incredible health benefits from eating meat produced this way has been widely publicised but of equal importance is the quality of life these animals experience. Working with skilled butcher Mike of The Farmers Butcher, Mark will create mouth-watering dishes using 40 day dry aged beef, and a £1 donation to the New Forest Trust (supporting the conservation of landscape, wildlife and the traditional commoning way of life) will be applied. Tasty teasers like Pastrami and Beefy Burgers will appear on the menu to coincide with the New Forest Food and Drink week, Monday 29th October to Sunday 4th November. The full New Forest Beef experience will be showcased at the November Supper Club. Come along and meet Tom……where he promises to share stories such as “Tom…Where are those Cows! !, talk about his life as a young commoner and what is was like to appear on the popular TV Series “A Year in the New Forest”. To book: contact reception, call 023 8081 2214. Booking essential. £10pp deposit required on booking. Group seating. T he Lord Lieutenant of Hampshire presented ‘the MBE of voluntary service’ to Pondhead Conservation Trust on behalf of Her Majesty the Queen. Pondhead Conservation is a New Forest community woodland project restoring 200 acres of Crown woodland on the outskirts of Lyndhurst. Run entirely by volunteers who provide over 4,000 hours of free labour each year, Pondhead Conservation works with various diverse groups within the community. The woodland is managed on a fully sustainable basis and work is funded by running craft courses and producing high quality BBQ charcoal, which is sold through a network of New Forest outlets. 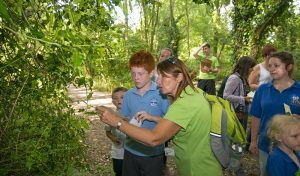 The project’s overall aim is to improve the woodland’s biodiversity and increase public enjoyment of the space. The Queen’s Award for Voluntary Service is the highest honour that can be bestowed upon a voluntary organisation in the UK and is subject to a rigorous selection process, with the final decision resting with the Cabinet Office in London. The award was established to mark the Queen’s Golden Jubilee in 2002, there have been only 38 recipients in the county of Hampshire. The award comprised a commemorative glass crystal together with a citation signed personally by the Queen. Founding members and Trustees Dave Dibden and Derek Tippetts received the award on behalf of the group. Over 40 people gathered in Lymington on Wednesday 5 September for the award ceremony with many of the group’s volunteers present. In thanking the Lord Lieutenant Atkinson, Derek Tippetts expressed thanks to the New Forest National Park Authority and New Forest Trust for their initial generous funding of equipment. The National Park Authority has provided advice and over £23,000 worth of grants to the project since the start. Derek also thanked the Forestry Commission who granted their license for the restoration work. Having collected donations from guests and diners for several years, The Bell Inn, this month, has raised a landmark sum totalling more than £30k for their chosen charity – The New Forest Trust. Donations at the Inn were raised through room bookings and specific dishes on the menu. 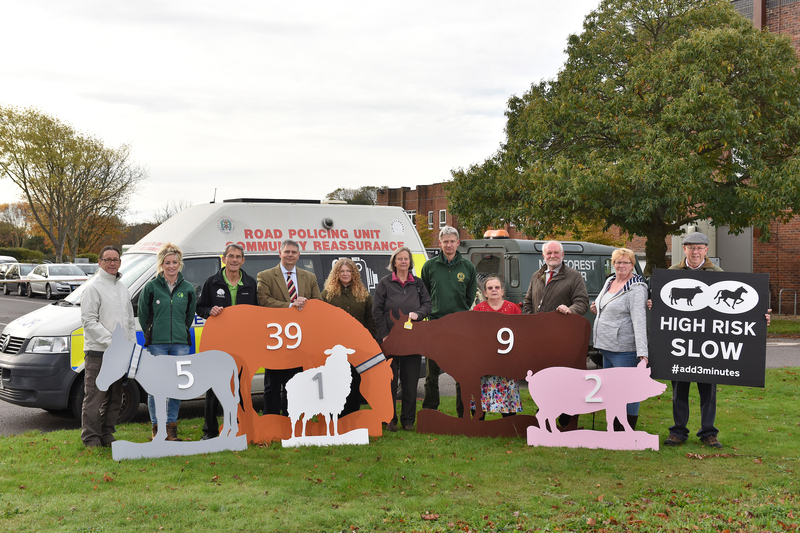 The money raised enables the charity to fund projects that conserve and protect the unique landscape, wildlife and the traditional commoning way of life within the New Forest. Having achieved a record amount in donations, The Inn was keen to see where the money is spent, so visited Pondhead Conservation Trust, one of the projects to receive a grant from their donations. Pondhead Conservation Trust benefited from a ‘Love New Forest’ grant to install a new charcoal retort. Managed entirely by volunteers, Pondhead is a community woodland project working in partnership with the Forestry Commission. Its aim is to improve the biodiversity of the 13th century Royal Deer Park (just outside Lyndhurst) via sustainable, wood coppicing techniques – the oldest method of wood management – to sustain and support the woodland and its wildlife. Years ago, coppiced woods provided the timber for charcoal production. 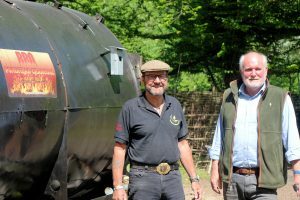 Thanks to some of the donations raised by The Bell Inn, Pondhead has revived this historic New Forest industry by installing a modern, environmentally friendly kiln to burn the hazel and birch coppiced on the 200 acre site. The result is converted into high quality BBQ charcoal, sold through local outlets, hotels and shops in the New Forest, often going no further than 10 miles from the tree. Founder of Pondhead Conservation Trust, Dave Dibben, said ‘When we started this project in 2014 we were heavily reliant and extremely grateful for any grant donations and were delighted when we were able to purchase the charcoal retort. It enables us to be self-sustainable with wood from the site. The charcoal we produce is high quality that lights easily and burns evenly and is even used by artists for drawing!’. William Ziegler, Chairman of the New Forest Trust said “The New Forest is indebted to anyone who donates to these great causes throughout the New Forest. They’re hugely important to the long term well being of our cultural and environmental heritage.